Paying members will be able to purchase either Platinum, Silver or Gold Business suite. The level of the suite will determine the products and services the consumer will receive, therefore the engine will need to be programmed to only provide services associated with the level purchased. The purpose of the IBS is for business owners (established and start-up) to have an “Online Office”, and be provided with tools and resources that will assist in successful business operations. Interactive Business Suite will provide some pre-approved applications such examples pre-approve e-merchant account, pre-establish banking, and pre-design web sites with shopping charts, and access various files, forms, message(s), email and reports. Process online payments for services, provide e-Signatures on documents send and receive electronic documents. Teleconference (much like Skype or Any Time Meeting); provide online training to employees via real time conference or eLearning courses. Receive secured online payments and, have social media pages created and updated on a consistent basis. Utilize 1Ingress (system) to assist in completion of various tasks. Many companies, corporations, small business(s), online business(s), and mom pop franchises, have invested heavily in the technologies and capabilities needed for smooth shopping and purchasing, only to have fallen short of expectations. Recognizing the need to re-examine their value propositions and improve their abilities to execute in the digital integrates world. 1Ingess recognizes the importance of Revenue Protection and maintaining positive public relations are crucial to business survival both internally and externally. Personnel is also the main force of every company, therefore, it is vital that businesses ensure that all personnel are traceable and identifiable. IBS – Interactive Business Suite “Interacting with the Global” providing products and services that reduce administrative costs, operational costs, and upgrade security controls, eliminating errors, which would normally result in increased risks and reduced earnings. Providing a secure global payment “gateway”, ensuring high-end security of our client’s private, business, correspondence, and credit card information via 1Ingress financial SSL Certification infrastructure. Developing Solution(s) that will enhance financial transactions and accelerate secure website load speed. 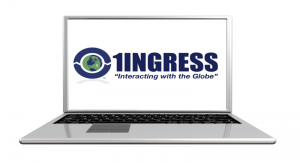 1Ingress has developed and built an online infrastructure, which provides business package solution(s) and models, to combat the many obstacles established, growing, and start-up business(s) face. Develop Business solutions that produce and engender revenue and employing an Innovative financial procedure. We have aligned our Business Suite(s), IT Solutions, and Security Systems with high-end products, services, and equipment(s), to produces and ensure efficiency and effectiveness. Receive and access financial reports, projections, and all information pertinent to business operations. Create webpage for business and receive a sub-domain such as ‘whatever.whatever.com’ off of our main website where they may promote their own business. Receive and store receipts of sale after use of a company card that is registered with the 1INGRESS engine. Establish an E-Commerce Page and shopping cart for their business. Electronic file cabinet will be used to store and back up files (we want this to have the capability similar to an external hard-drive or memory stick where the individual can login and access files at anytime). Access, fill-out, and/or various forms that are needed to start up a business, including federal and state forms. Invitations to 1Ingress Corporation events and functions. Free listing in our website with link to website or email. links to website or email. Free listing in our website with links to website or email. Invitations to 1Ingress Corporation events and fundraisers.